We all know that we must record GPA on the homeschool transcript. Do we weight it or not? Our homeschool high schoolers need a GPA on the homeschool transcript. I receive lots of questions about weighting the GPA. Do we weight? Do we not? There is not a standard answer for this. Some public and private high schools will weight their grades. Others do not. Is the GPA weighted or not? If it is weighted, explain the weighting system. So colleges find they have to compare apples and oranges where it comes to looking at transcripts. The apples are weighted GPAs. The oranges are unweighted GPAs. So each college finds a way to standardize the GPAs themselves. Some of them simply unweight the weighted GPAs, some have more complicated algorithms. What we have found works best for our local homeschool high schoolers is to assign an unweighted GPA. Anything lower than a C is a serious problem, so I suggest that the course be taken again. You can do the math and make half-points or quarter-points if you want things like A-, B+, etc but we have found that the KISS (Keep-It-Simple-Smartypants) method works best for our homeschool high schoolers. Schools who weight the GPA are doing so because they want to show that students with a weighted grade has completed an academically rigorous course (as in 5.0 for a rigorous course instead of 4.0). All 7SistersHomeschool.com curriculum includes instruction on how to earn each of the levels from Level 2- Level 5. 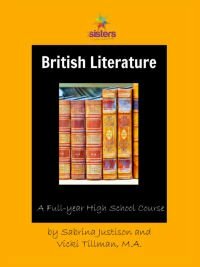 For instance: British Literature, American Literature, and World Literature include instructions on how to help an average enjoy the curriculum. It also gives specialized assignments that are inspiring and meaningful for each of the higher levels (Levels 3-5). 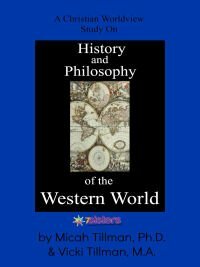 The same goes for our social science/social studies curricula: Psychology, Human Development and History and Philosophy of the Western World. Next Post: Should You Include Resume with Homeschool Transcript?